My passion? 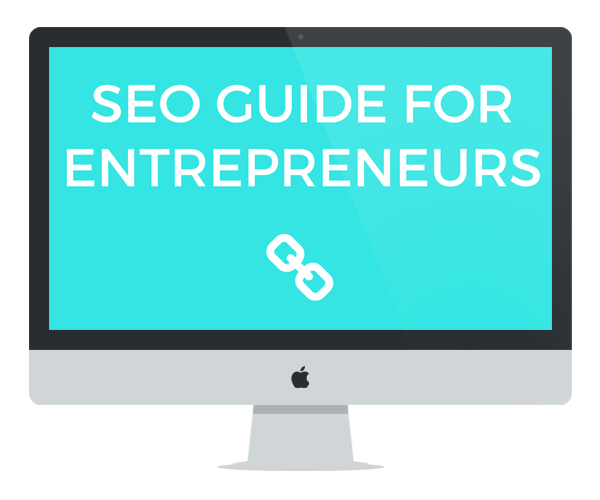 Helping female entrepreneurs get the website of their dreams! Get A Website As Awesome As You Are! Hey fellow entrepreneur! How is business going? Good? Great? Not happening at the moment? (It's okay, we all had to start somewhere too!) No matter which stage you're at, you totally deserve the best website you can get! After all, your website is the face of your business and works for you 24/7, so it better look damn good and work smoothly! Did you know that an awesome website will help you make more money? 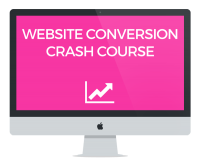 A professional looking website that has been thought of and optimized to convert will turn your visitor into customers without you needing to do anything. Know what else it can do? Bring you peace of mind and free up your schedule. Need to attend a wedding next week? Planning a two-week vacation in a month? Well, you won't need to be on your phone the whole time. Let your awesome website take care of business while you take of yourself . I'm personally going to head to the beach while you check out my packages and pricing. Because, you know... That's how businesses work these days. And when I come back, we'll start working on YOUR website! Get a website built from scratch, customized to fit both you and your business. You can finally be the unique snowflake you've always wanted to be! Get the look of a custom made website without the price tag that comes with it! Just pick a theme you like, and I'll help you customize it so it fits you and your brand. Choose from our gallery of beautiful premade WordPress themes. 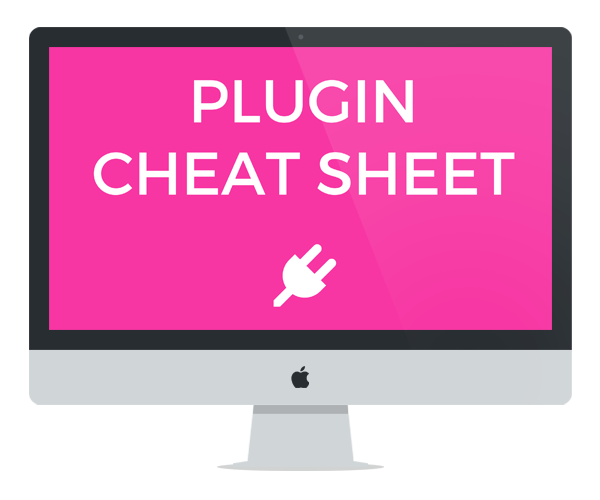 You can install them yourself and get your website ready in a few hours! Coming Soon. Make sure you're the first to hear about our upcoming courses by signing up to our newsletter today! I can not recommend Virginie enough! I had hired another designer who made a huge mess of my site. I had a big work conference coming up and needed it FIXED in just a few days. I contacted GoLiveHQ (Promise Tangeman's company) and they did not get back to me fast enough. Virginie was way more on top of things and had the skeleton of a new site up before my conference. She is not only talented and knowledgeable about web design, but she is patient (I sent her sooooo many tiny little tweaks..."Can you move this a hair to the left?"... "Now can you move it back to where it was?") I now have a fast, attractive, functional website that is better than I could have ever dreamed of!!! Also about half-way through the project, somehow almost all the website got wiped out. I was VERY stressed out (obviously). Virginie was SUCH a blessing. She basically re-built the entire site in 2-3 days and had it back up & running in no time!!! To all the #GirlBosses out there, HIRE Virginie. You won't regret it :-) Check out my site & you'll be sold - just google "San Diego DJ Staci." 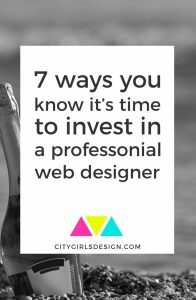 Virginie from CityGirl's Design is absolutely fantastic to work with if you want to build your professional website! There is great communication and willingness to help and answer any questions you may have. Virginie and CityGirl's Design are professionals and highly recommended for their work, already getting AWESOME reviews on my website! Thank you Virginie and CityGirl's Design!!! Virginie was a dream to work with! She is friendly and easy going yet very detailed and organized. I'm so happy with my site and the process of creating it was a joy, thanks to her! I feel lucky I found her and would work with her again in a heart beat. Virginie does an absolutely EXCEPTIONAL job! She is very creative, super patient, very explanatory, and discusses in elaborate detail of what the client needs and is looking for. I had not one complaint about my website, and it was great that I could pay in installments as well too. Before I found Virginie, I had hired a "web designer" who had a masters degree in design, and who was local to me. The website was not mobile friendly, not integrated with my reviews or scheduling systems, and my clients complained that they couldn't navigate the page well. Then after frustration with having an unfriendly website for 5 years, I went with another local biz owner, and he completely botched my esthetic and didn't take ANY direction at all that I hate him, or implemented my branding guide. I was frustrated and about to give up, and I came across Virginie's website. I was super impressed with her portfolio, and I emailed her along with a couple of other people, and she was the absolute best fit for my needs and did a PHENOMENAL job, though I was confused and needy and didn't understand some of the web design lingo. From start to finish I give her five stars, and I would recommend her services to EVERYONE. Wow! This was the first time I had ever outsourced a web page and I wasn't quite sure what to expect. The end result more than met my expectations. I have a sales page that fits in with my branding, is visually pleasing and does the job. I appreciated the way that Virginie kept in touch, to ensure that the page was heading in the right direction. All in all, it was an easy process and I will be back with more! Virginie has helped me create a truly gorgeous platform that accomplishes exactly what I need it to: to make sales and run my membership site. Working with her is entirely too easy - she is responsive and fast and is very easy to communicate with. She always manages to take my suggestions and meet them, and then somehow make them even better! I couldn't be happier with my site and the whole experience. Thank you! Love, love, loved working with Virginie on my website rebranding and relaunch. She's simply amazing! Besides being super sweet & extremely knowledgeable, Virginie was also responsive, flexible and easy to work with. Launching a website can be a stressful thing, but with Virginie managing this project for me -- I never (not once!) had to worry. And what I appreciate most was the care and attention to detail that she gave to my site -- I honestly felt like she cared as much as I did...and that's a super hard quality to find in someone. She's a gem! Strong positioning is the difference between standing out from everyone else who what you do and getting lost in the ocean that is a crowded niche in the business world. 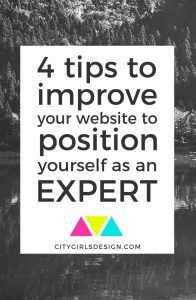 A website is a powerful tool in the business world, and it is a perfect tool to improve your positioning and bring more people to your company who to see you as an expert. It’s the place where customers can go to learn about a company, about a product. It’s a place where you can show people you’re the expert and the go-to person in your industry. It’s the perfect place to show your super powers. There are a few things that you can do to improve the odds that people will start to see you as the expert you are. One of the best steps to take is to create a website that showcases your skills, your achievements, and your work. A functional website is an important tool for a business’ success in the current business climate. The do-it-yourself trend is popular, in website design as in other areas. 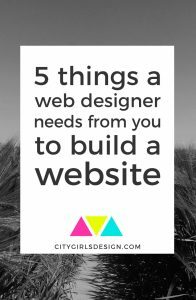 But, not everyone has the confidence, skills, or desire to put a website together. If you’re in that group, you can still have a website that helps you achieve your business goals. You can hire a web designer to create a great website. 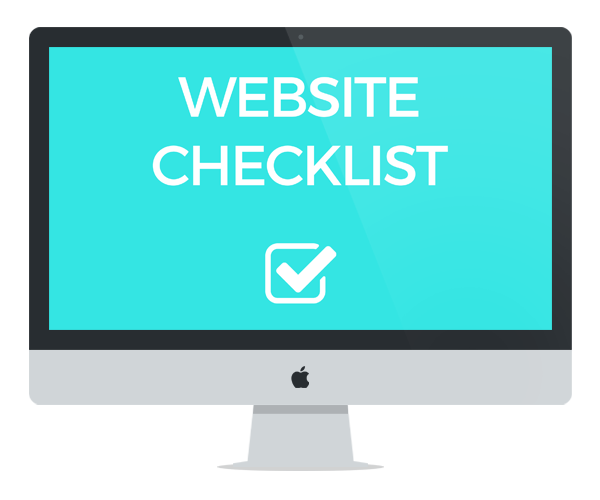 To ensure though, that your website is the best it can be, there are a few things you’ll want to do in preparation to work with a designer. Making a designer’s job easier is always a great thing! 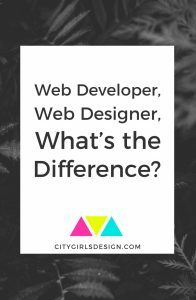 Web Developer, Web Designer, What’s the Difference? Website developer. Website designer. If you’re looking for someone to help you with your website, you’ve probably discovered that people often use these terms interchangeably. The thing is, these are two different positions with different skill sets. So how do you know which one you need? Jump into the rabbit hole and read on to find out. A web presence is a hugely important thing for a business, but it doesn’t have to be sparkly and professionally designed from the start. I have something to say this week that may seem odd, coming from a web designer. It may go against popular belief in the business world, but occasionally I like to rebel a little. I’m going out on a limb today, and I’m going to be contradicting some of the common advice when it comes to web hosting and domains, but here goes. At CityGirl’s Design, I believe it is important to keep the domain name purchase and the hosting purchase for your websites separate. I know many suggest that you go with the same company for both, to simplify the process and to keep payments in line. But there are good reasons to completely ignore that advice. You might already look at your Top Pages report, but you might not be taking action off of it. 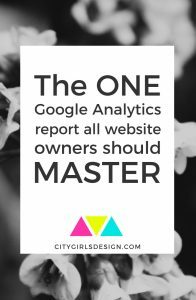 Even if your traffic is low and you’re not selling anything yet, this one report can provide a whole lot of great insights for your blog and business. Once you’ve located the report, you’ll see a list of your pages organized from highest pages to lowest.